I know there are more than a few of you out there that see these women in their late twenties or early thirties with mini dogs wearing adorable cardigans and an ascot and it drives you up the wall. No matter how uncool dressing your dog could ever become, Futurama will always be cooler than all the uncool of animal costumes. 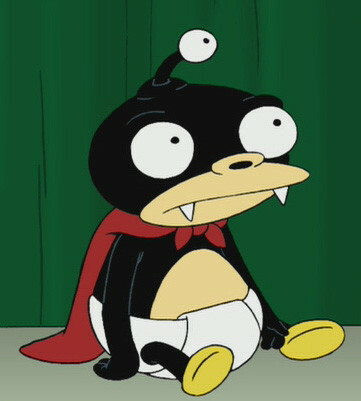 Therefore, an animal dressed in a Futurama Nibbler outfit for Halloween has more cool points than it does uncool points balancing out in the favor of coooool. So, without further ado, I present to you, the nibbler dog. 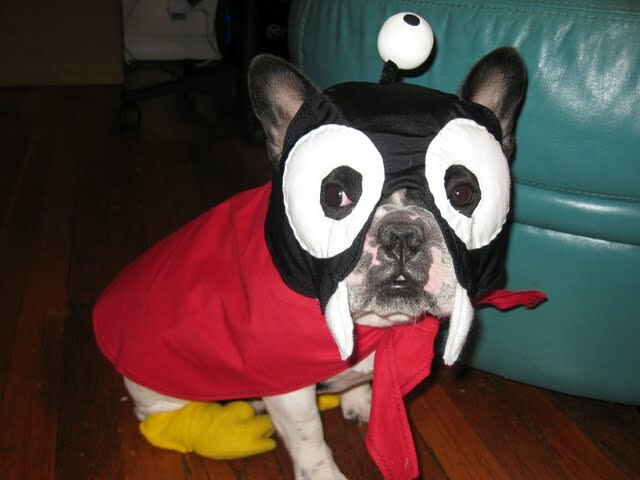 This entry was posted in Animal Costumes and tagged animals, costumes, dog, futurama, nibbler. Bookmark the permalink.